Hot ’n’ Cold is a natural thermal spring where hot and cold rivers meet. Sit back, relax, meet some locals and find your ideal temperature! Make it happen: Head about 35km South of Rotorua and take the second left 500m after the “Wai-O-Tapu Wonderland” signpost and follow this road until you get to the bridge! Check out our favorite river for kayaking and rafting. You can enjoy a casual walk watching the adrenaline junkies come down some of our most beautiful waterfalls. After a day of kayaking you will be able to find the locals at Okere Store enjoying a glass of beer in our favorite beer garden. Make it happen: Head 20km out of Rotorua on SH 30 merging onto SH 33, turn left on to Trout Pool Road. The Okere store is located 100m before Trout Pool Road. 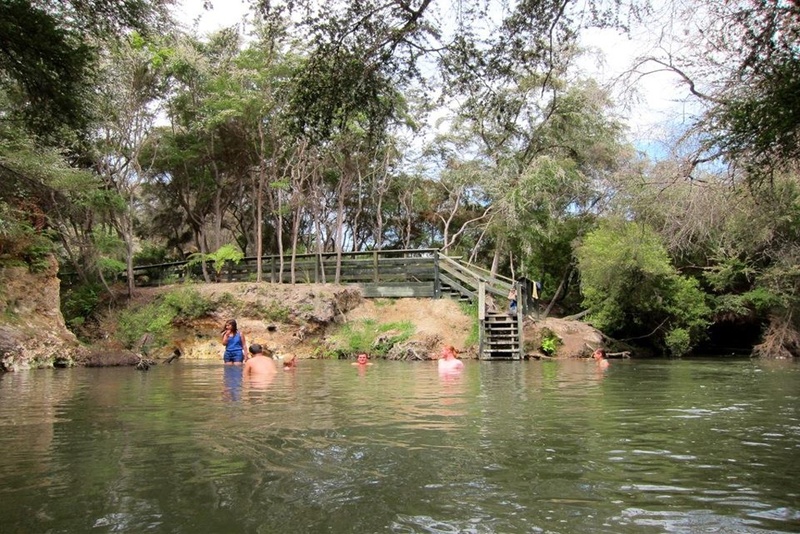 Just a 20 minute scenic drive around the lake and a 15 minute river side walk lays a crystal clear spring. Fun fact- it produces an estimated 4 million liters of water an hour at a temperature of 10°! Watch the brave locals jump off the bridge at the bottom - if you're also feeling fearless, give it a go! Make it happen: Head North-East from Rotorua, the car park is located on the left hand side of Hamurana Road just before the bridge. This local secret has amazing views of crater lakes, farmland and nature all in one! The uphill trek to the summit will take you about an hour and a half but it is definitely worth it up the top when you see the 360 degree view. Make it happen: Situated 26km South of Rotorua. The car park is on the left just after the SH 38 turnoff. 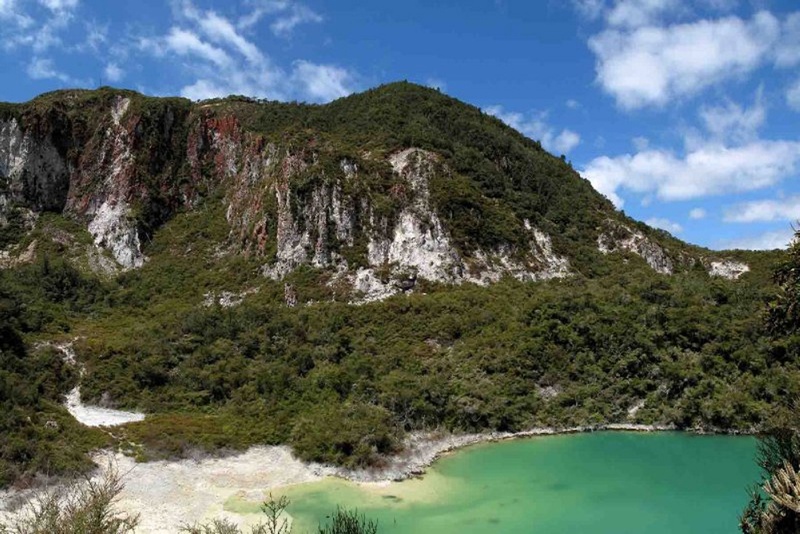 In the warmer months you will find half of Rotorua locals enjoying Lake Tikatapu and all it has to offer us. You can take a 5km stroll around the lakes edge, kayak to the opposite side or relax on the lake edge with some good food and drinks soaking up the beautiful view. Make it happen: This local treasure is located 9km south-east of Rotorua. 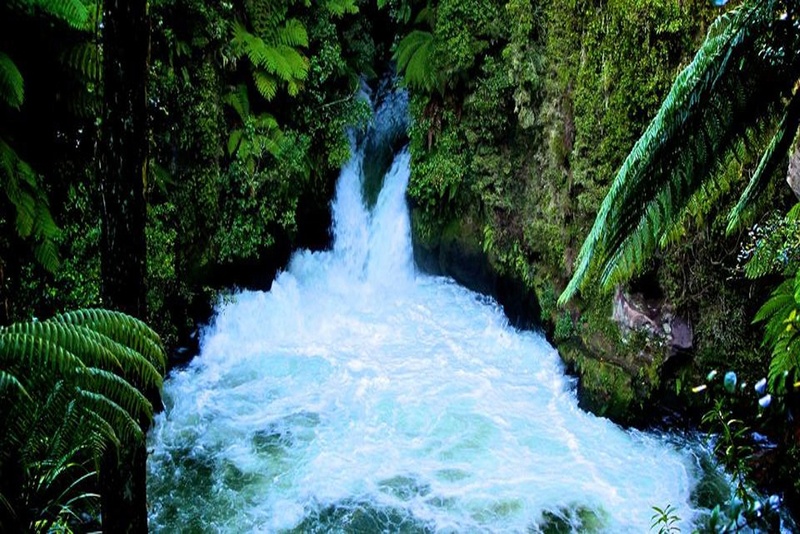 From the city, take the right onto Tarawera Road and follow it until you come across the clear blue waters. 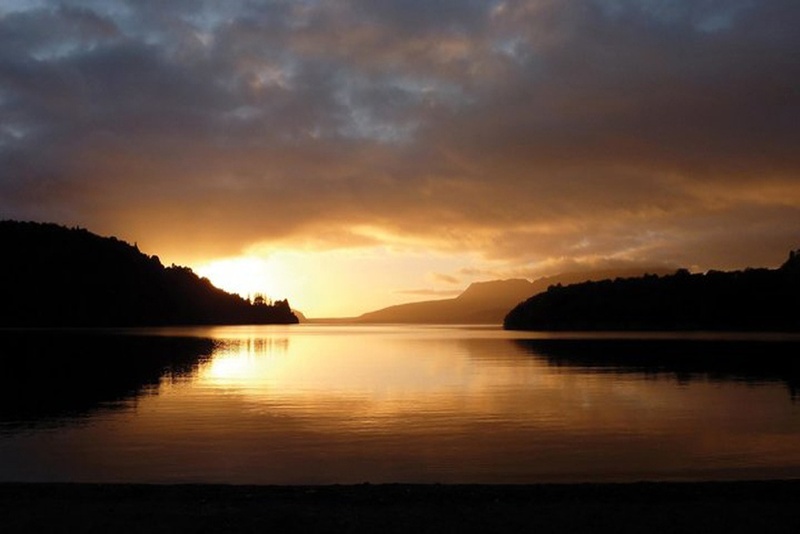 Join the locals and their boats on Lake Tarawera in Te Rata Bay - relax in the hot springs, set up camp for the night or explore the scenic walking tracks. You can book a water taxi so you don't have to miss out on exploring this Rotorua local getaway as it's only accessible by water. Make it happen: Head south east of Rotorua up Tarawera road and follow this road for 15km until you reach the signs to the landing where you will find the water taxi.